Martine Syms (b. 1988, Los Angeles) uses video and performance to examine representations of blackness and its relationship to American situation comedy, Black vernacular, feminist movements and radical traditions. 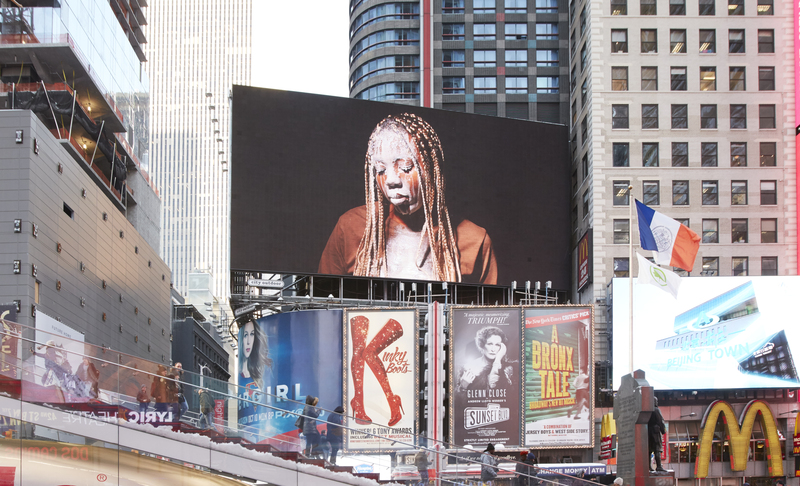 Her artwork has been exhibited and screened extensively, including presentations at the Museum of Modern Art, the New Museum, The Studio Museum in Harlem, Hammer Museum, Museum of Contemporary Art Los Angeles, MCA Chicago, Green Gallery, Gene Siskel Film Centre, and White Flag Projects. She has lectured at Yale University, SXSW, University of Chicago, Johns Hopkins University, and MoMA PS1, among other venues. Syms’ recently presented exhibitions include Projects 106: Martine Syms, Museum of Modern Art, New York, The Easy Demands, CONDO, Sadie Coles; Borrowed Lady, SFU Galleries, Vancouver; Fact and Trouble, ICA London; COM PORT MENT, Karma International, Los Angeles; Vertical Elevated Oblique, Bridget Donahue Gallery, New York. From 2007-2011 she was the co-director of the Chicago artist run project space Golden Age, and she currently runs Dominica Publishing, an imprint dedicated to exploring blackness as a topic, reference, marker and audience in visual culture. She is a faculty member in the Art Department at the California Institute of the Arts.